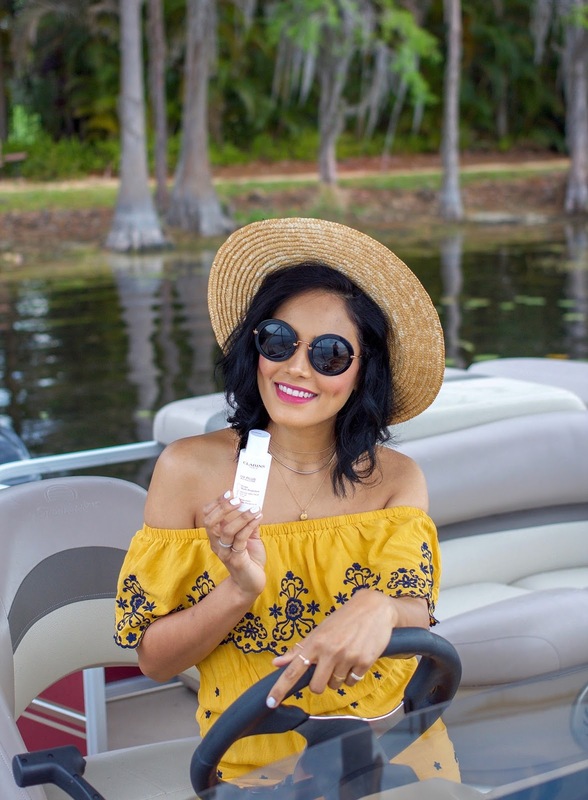 A parisian in America by Alpa R | Orlando Fashion Blogger: Love Your Skin with Clarins! Love Your Skin with Clarins! Bonjour my Beauties, so today's topic will be skin care. I'll be honest, I have been seeing some fine lines on my forehead and under the eye, not that it's bothering me much as we all gotta age at some point right but it's definitely motivating me to take better care. 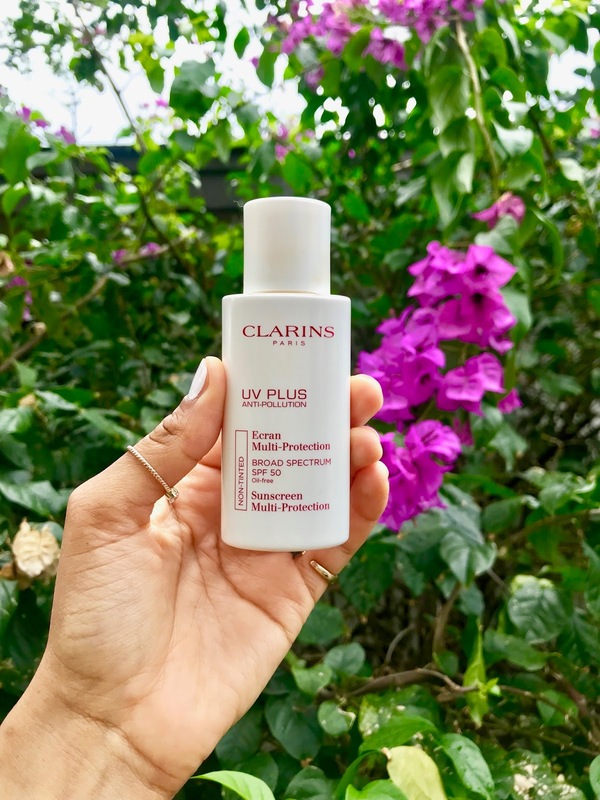 Living in Florida doesn't really help either as it's mostly sunny and on that note, I would like to talk to you about this Clarins UV PLUS cream. As you know I am huge fan on Clarins, I have been super happy with most of their product I have used and actually finished it all. I tried this UV PLUS cream for couple of days and I really like it so far, not only it's a daily SPF 50 protection against UVA/UVB rays but it also protect from pollution and free radicals. I am very picky with what cream I apply on my face and this one is sheer, lightweight and oil free formula, you can see it on the photo. I have a sensitive skin with some dry areas and this cream works wonderful. It's is compatible for all skin type. I am looking forward to keep applying it especially since the heat with full sunshine has started. I will write another review after couple of weeks on my Instagram story @alpa.rama.